Actor Cho Jin-woong shared his secret in acting. In an interview held at a cafe in Seoul, Cho Jin-woong said, "I think the character is fusing into me. When I analyze a character I think about the parts of him that are like me and experiment". "For example, I would be driving somewhere and I'd think, 'if it was this character, he would look at the road like this'. I worked hard on Moo-hyool and Lee Jae-han from "Deep-rooted Tree" and "Signal"". "The Hunt" is a movie about a group of hunters who go up a mountain they shouldn't be up in and seeing things they shouldn't see. Cho Jin-woong takes on the role of the hunters' leader Dong-geun and his twin brother Myeong-geun. Myeong-geun tips Dong-geun off about some hidden gold and watches the situation. On the other hand, Dong-geun becomes more and more crazy to clean up the mess. Cho Jin-woong compared "The Hunt" to a child. He said, "Movies like "The Assassination" and "The Handmaiden" has had a lot of talk way before they were released. On the other hand "The Hunt" was released on a small scale and is like a baby that's still in the incubator. I hope the audience enjoys this movie". "The Hunt" starring Ahn Sung-ki, Han Ye-ri, Cho Jin-woong and Kwon Yool was released on the 29th. 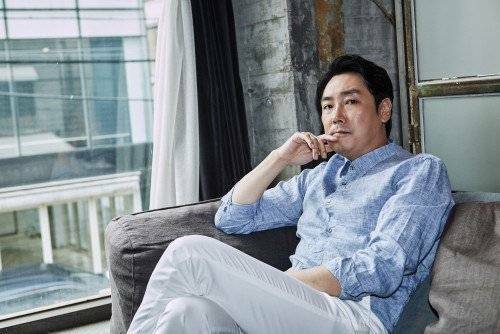 ""The Hunt" Cho Jin-woong and why wants to be the character in his work"